It's been a while since I wrote a new blog post. The spring and summer are always so busy and blogging slows down. 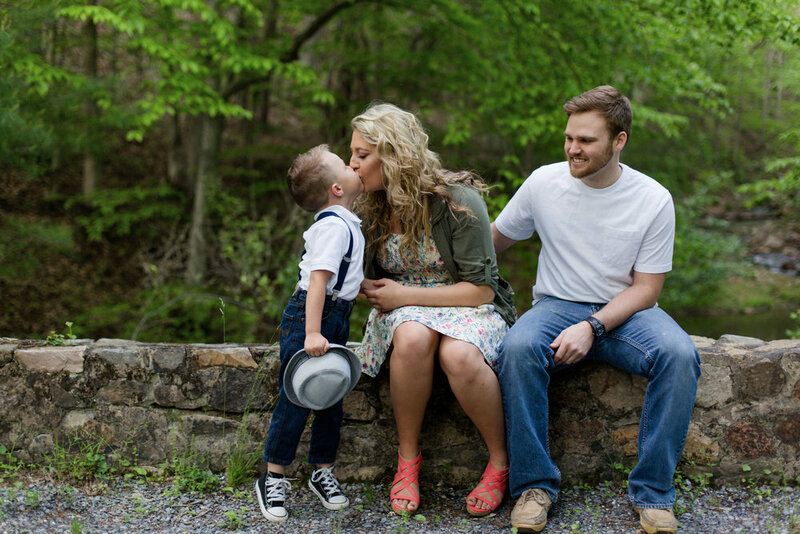 This spring I was busy with weddings and engagement sessions which all need to be blogged!! 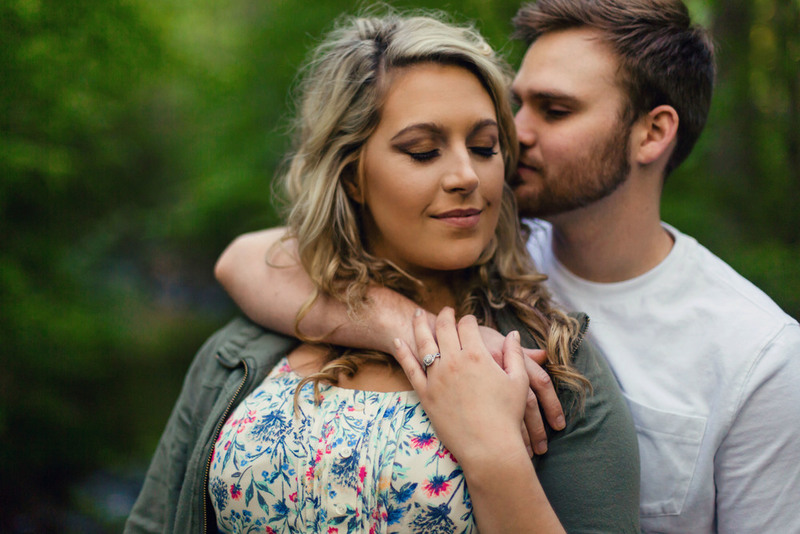 I'm starting with an engagement session which was recently featured on the Inspired Bride!! I found this location thanks to a friend and wedding vendor White Dress by Greta Kay. She is designing the bride's gown. This summer camp was not open quite yet so it was quiet, empty, and filled with gorgeous scenery. An outdoor chapel, stone bridge, wood cabins, and all the trees were a perfect backdrop. The couple brought along a little someone who also made the photos that much cuter!! This little boy was so sweet and had several ideas for posing and pictures we should take. 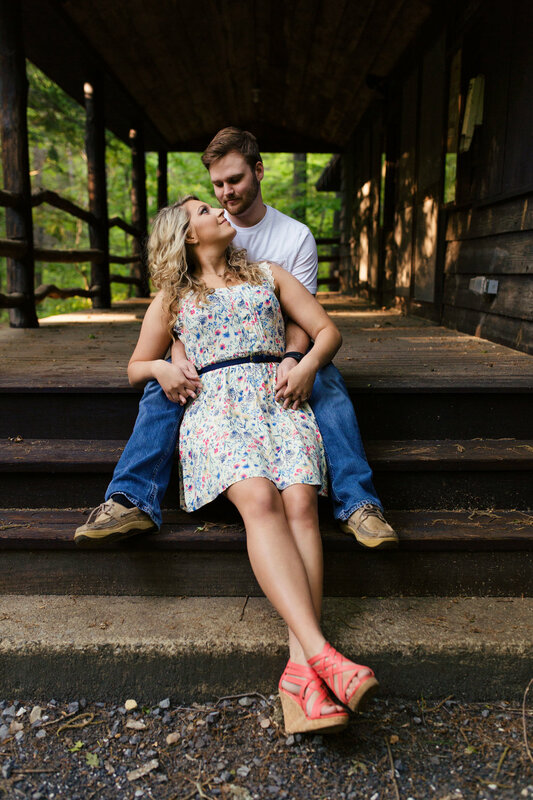 It was so much fun to find a way to involve him in the engagement session and he was perfect! The highlights of this in the woods engagement session were the emotional moments captured as the couple thought of their future together, the fun moments when they were laughing as a family, and the moment the golden light shone through the trees just in time. I love images that are full of color, texture, and emotion and this session had all of that and more. Enjoy these images and be sure to check out the feature on Inspired Bride as well.